Rejuvenated midfielder Yaya Toure has revealed that he intends on playing for Manchester City in the knockout stages of the UEFA Champions League, despite being excluded from the club's involvement in the group stages. Having issued an apology to Pep Guardiola for his agent's behaviour, Toure returned to the City squad for their 2-1 win over Crystal Palace; bagging a brace. Toure missed the 1-1 draw at Borussia Monchengladbach due to him not being registered for the European showpiece, but the Ivorian was back in the starting eleven as City came from behind to beat Burnley at the weekend. The 33-year-old, though, is determined to prove that he is ready to play in the knockout stages of the UEFA Champions League, with the Sky Blues able to change their squad before the business end of the tournament kicks-off in February next year. 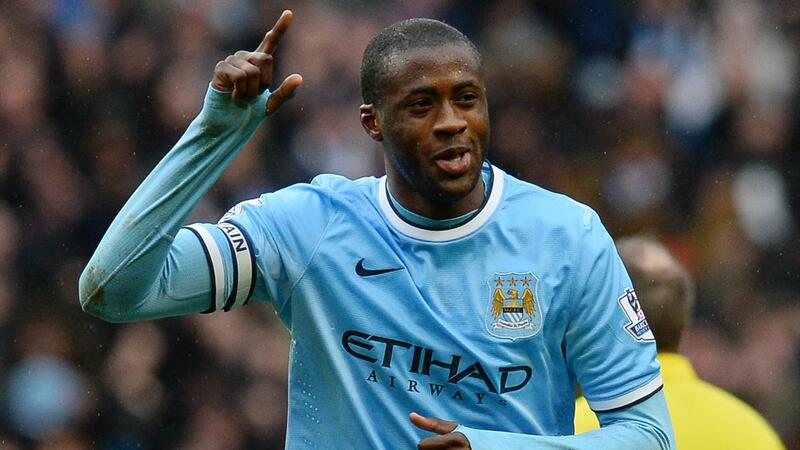 "Of course, that's why I stayed at City," Toure told reporters, as per ESPN. "The most important thing is to help the team, and to also help the manager, who is very, very intelligent, very strong tactically. I think when the team gets all of his ideas we are going to be a great team. "I have to keep working because [Guardiola] is a very, very, very professional person and he really likes football. "I think that the most important thing for me is to keep working -- those who work hardest always have more opportunities to play."